We are a young family company, created with the desire to share all the beauties of our country with all people of goodwill. We are a married couple who loves traveling, meeting new people, customs and culture. During our travels and meetings with people from different countries, we realized that in the eyes of the world our country still carries a negative and somewhat ugly epithet of a country not advisable to travel if it isn’t necessary. We want to change that, and believe when we say that we can. Even though many years have passed since all the events that took place in our region, reviews of of Serbia as a tourist destination on many Internet sites are difficult to change. Serbia is a developed European country with a growing economy and the rule of law. So how do we fit in the whole story? Well simply, we want to show you the true face of Serbia, the one, seen by the eyes of those who wished to explore this part of Europe by themselves, ignoring the reviews of sites that write each year about this country full of history and natural beauty with no desire to check the veracity of their records. We give you the ability to check why Serbia is called “the hidden gem of the Balkans”. On the unusual trip, you will be acquainted with the history, culture and customs, beautiful nature that will leave you breathless with each passing kilometer, our cuisine that is famous all over the world and something which we are very proud of and kindness and hospitality of the people. Why motorcycles, you’re wondering. Because this will be one of your most beautiful adventures and an experience that you will remember all your life, and you’ll want to come back. 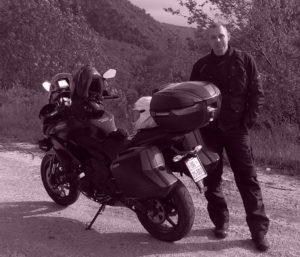 After a long and successful career in the construction industry, Goran wanted to devote himself to his true love, traveling and riding motorcycles. Thanks to his work he traveled a lot, all around the world, lived and worked in different cultures. Innate love for travel and meeting new people and customs, through his professional career brought him a lot of great things that will long be remembered. As he likes to say, now the time has come for me to make it possible for other people to experience all those nice things I’ve experienced traveling around the world, so I’m going to provide them unforgettable memories of my country. Creating routes, planning, technology, equipment and vehicles are his responsibility. Goran speaks English and Russian. Naturally open, always smiling, cheerful and happy. Since she was born and raised in Germany, every job and the task that is before her, she undertakes with detailed and accurate analysis of all aspects of possible problems and shortcomings. Her main characteristics are inclination towards art and love of traveling. She is a faithful companion of her husband through the turbulent waters of life, but often she is a critic and the voice of reason. Thanks to her versatility, in addition to running the company she is also involved in organizing trips, cooperation with business partners, contact with clients and active participation in the creation of new content and routes. 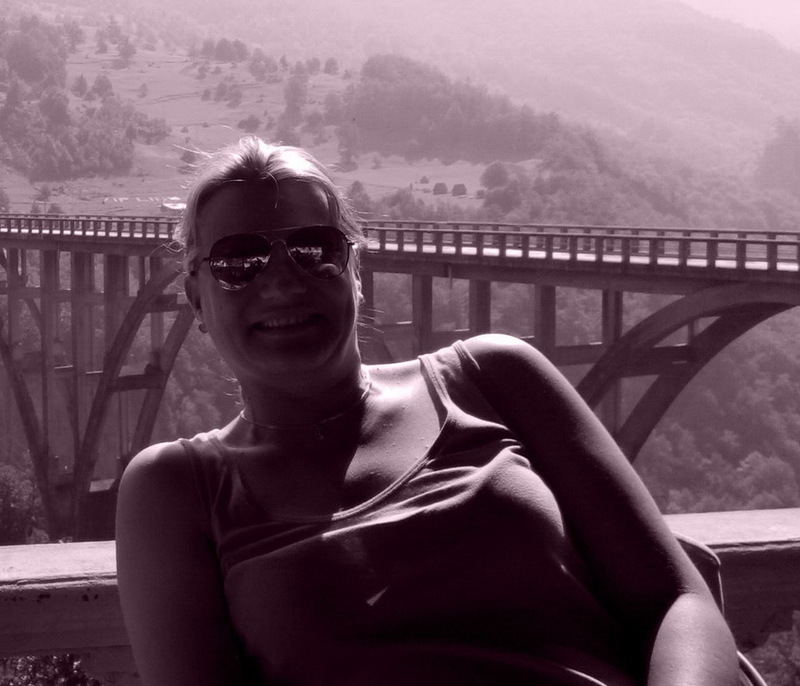 Radmila speaks three languages, German, English and Russian.